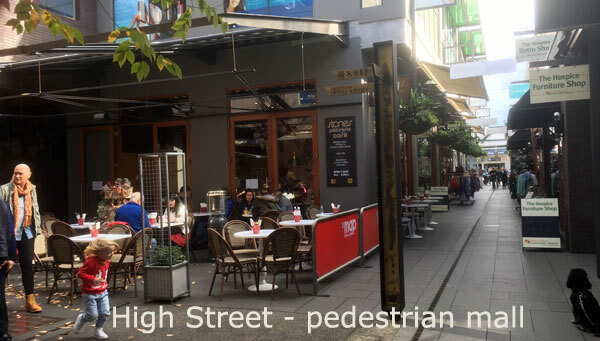 There are plenty of worthwhile cafes along the way (and click here) to take a break, enjoy a snack and a cup of coffee or tea. However I neglected to mention the main township on the Southern Highlands. Sp let’s talk – Bowral. Nice town – very human scale. A few years ago Bowral was looking as though the financial crisis had hit hard. We saw the closure of several second hand/ antiquarian stores and too many ‘for lease’ signs. Things were going in the wrong direction. Things have changed – the place has a buzz about it. It looks like a good place to live and it is just over an hour or more from Sydney on a good day. Along the main street there are several busy bookstores – always a good sign – not only for the future of books but it shows that people are shopping in Bowral. Interestingly the town seemed to have escaped the arrival of a big box mall – with one having landed not far away outside Mittagong. There is a range of major supermarkets, Wollies, Coles Aldi and a real gem being Harris Farm Markets. This last one is definitely worth the visit – for all sorts of food. This country town has something that many places have lost due to the arrival of a mall. 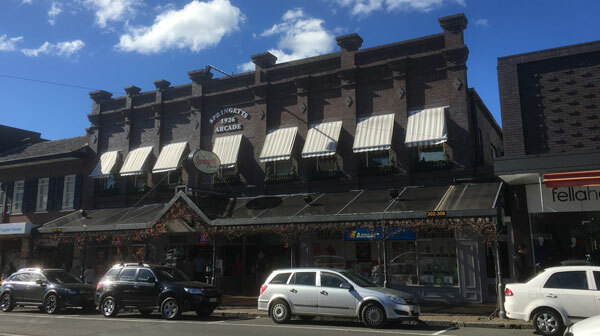 Bowral still has a very active, very attractive and human scale main street – Bong Bong St. It is worth the effort when driving to/from Sydney to turn off the highway and to allow time to take a stroll. When we visited during May, there seemed to be plenty of shops with good specials. And now to report on the important things – can you get a good feed and coffee? Short answer – sure can! There’s plenty of good options – here’s few. Some get busy at particular times – but there’s always another good one just a short walk away. 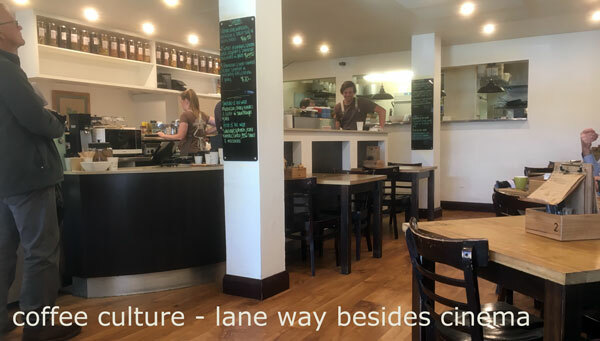 For instance one recommendation is at the end of the lane beside the cinema– named Coffee Culture. They serve breakfast all day – and the last time I visited they were playing Nick Cave on a low volume (always a good sign – both the choice of music and the volume level). The service was very friendly, coffee very good and food good. It was quiet while we were there, but just as we were going to depart the place suddenly filled with many groups of older people (maybe a film finished). 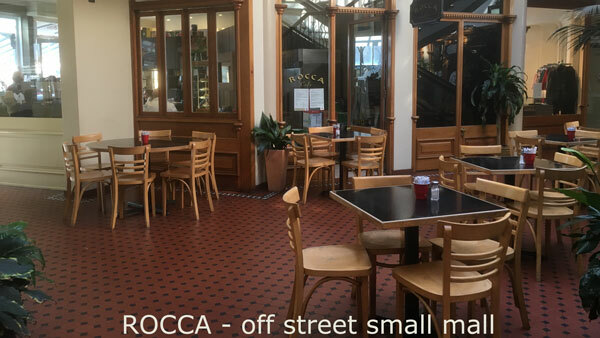 Nearby is a small court on the corner of the main street (Bong Bong St) and Wingecarribee–inside is a favourite – Café Rocca. Over the years we have stopped here a few times and generally all good. It is often a little quiet, so service is quick which is important when you are travelling through. 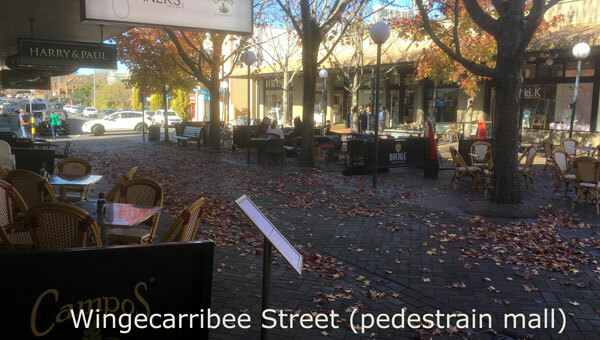 Across the street is a pedestrian mall (part of Wingecarribee Street) with numerous options for coffee shops. It has been a while since we tried one here, so I hesitate to recommend, but on a warm day sitting outside on this mall is a great way to relax. If you have the time, take a walk to a small lane in the middle of the town, more or less opposite the cinema. Here there is an open lane (mall?) with heaps of attractive small speciality shops – and a café half way down. 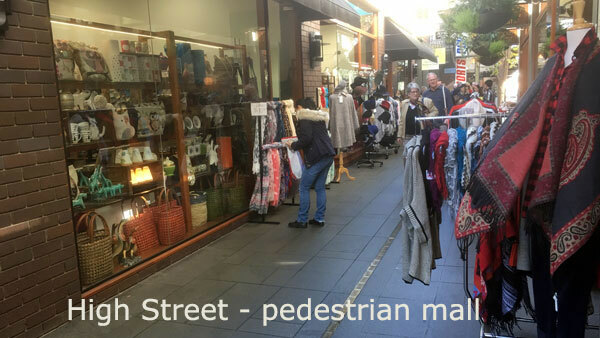 This intimate (thin) lane/mall is called ‘High Street’ and the last time there we picked up a very nice jacket – on special of course! One little story that is an experience not unique to this town. One coffee shop we tried last time – being about 11.30 on Sunday, has one of those strange menu change-overs. To quote” “The breakfast menu has finished and the lunch menu does not start till 12, so for now there is only coffee and cakes”. A polite thanks and out the door we went. So next time you are driving between Sydney and Canberra, make the time to pull off the highway and stop in Bowral. Possibly consider moving there.